Belinda Bain is a partner in Gowling WLG's Toronto office, practising in the area of advocacy. Her practice primarily includes insurance, InsurTech, municipal liability, professional liability, product liability and employment law matters, including class actions. Belinda is the leader of Gowling WLG's Toronto Insurance Group. She has appeared as counsel at all levels of the Ontario Superior Court and at the Ontario Court of Appeal, as well as before the Financial Services Commission of Ontario, the Ministry of Labour and the Ontario Human Rights Commission. Belinda has been successful in achieving outstanding results for her clients through litigation, negotiation, mediation and arbitration. She works closely with her clients to provide clear and strategic advice, and achieve practical, efficient outcomes. Belinda has worked with Canadian, American and British insurers on defence and coverage matters, including commercial general liability, directors and officers liability, errors and omissions (including brokers, engineers, accountants, and physicians), employment practice liability, as well as property and motor vehicle matters. 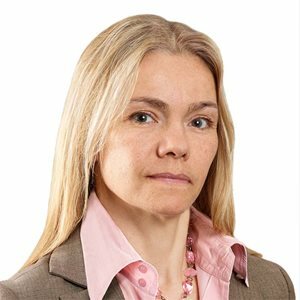 Belinda has provided advice, and has written and spoken extensively on issues relating to cyber insurance and management of cyber risks. Belinda has acted as defence counsel in numerous class actions, including class actions brought against financial advisers and physicians. Belinda was involved in the first summary judgment motion brought under the amended Rule 20, clarifying the scope of the new Rule, as well as issues relating to recovery of damages for emotional distress absent physical injury, as well as principles relating to awards of aggregate damages. Belinda has served as a faculty member of the University of Toronto Law School Trial Advocacy Course, and an instructor at the Law Society of Upper Canada Bar Admission Course, Civil Litigation Section. She has spoken at numerous conferences and seminars on issues relating to advocacy and insurance law, including at the Advocates' Society "Tricks of the Trade" seminar, the Insurance Institute of Ontario, the Metropolitan Toronto Lawyers Association, the Canadian Institute, Osgoode Hall Law School, the Ontario Bar Association Continuing Legal Education program, and the Rotman School of Business. She has published papers and articles in numerous professional publications, including Canadian Underwriter, Class Action Quarterly, Municipal World and the Professional Liability and Discipline Litigation journal.